Microsoft Inspire, also formerly known as WPC (Microsoft worldwide partner conference), is a partner conference held every year by Microsoft corporation. At Inspire, It is estimated that over sixteen thousand attendees gather from around the globe for a week long networking, collaboration and learning. At this conference, Microsoft partners learn about Microsoft roadmap for the upcoming year, experience new product innovations and share best experiences. At this event you’ll find the opportunity to evolve digital transformation and better serve the shared clientele. As proclaimed this year, Inspire is a Partner First, not Just partner led event. Microsoft announced an whopping investment of around 250 million dollars in connecting partners with customers. Another investment worth mentioning is, starting this year Microsoft would be paying reps on Azure-consumed revenue. 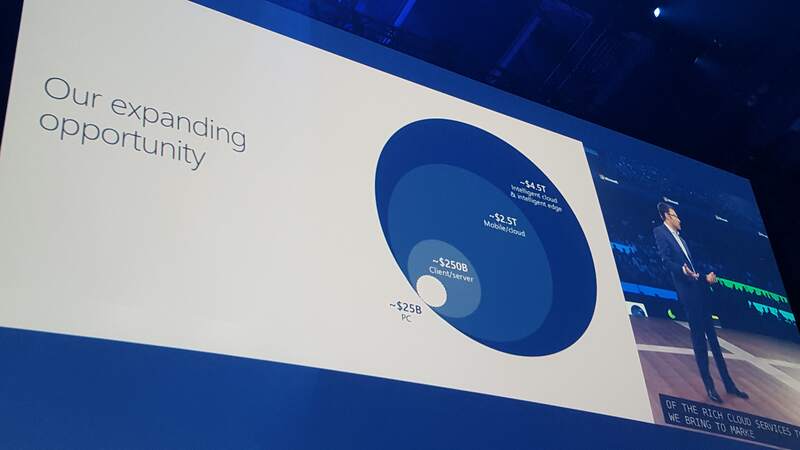 In addition, Microsoft is introducing an entire sales incentive to co-sell with their Azure Independent Software Vendors – paying its reps 10% of the value of the partner solution. These activities shed the light on the renewed commitment to its partner from the Microsoft. I had a chance to interview DBSync’s Founder & CEO, Rajeev Gupta on the topic of Microsoft Inspire, its announcements, DBSync’s focus areas after the event and some suggestions on how attendees can make the most of this kind of fair. Q: How do you decide which conference to go to? A: As an entrepreneur one very evident factor is ROI and the alignment of company vision and mission with the conference goal. At Q1 this year we had a major push with Microsoft product line and our launch on AppSource has made it inevitable in understanding the landscape of Microsoft product lines and its services. 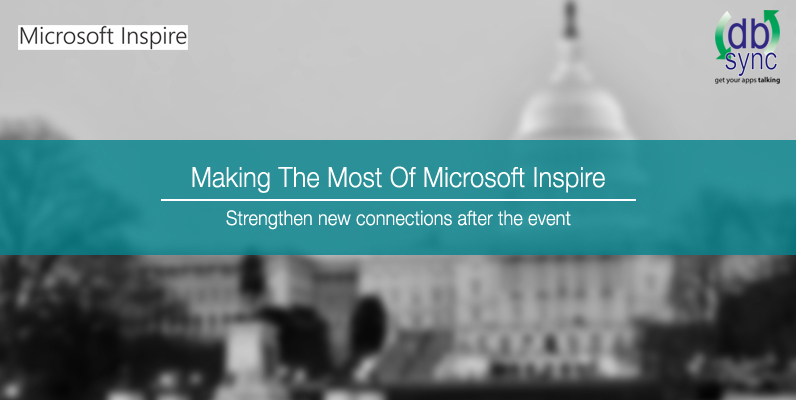 Q: Tell us your experience at Microsoft Inspire? A: There were a lot of new announcement which have been made by Microsoft Executives. While talking with many of the partners there seems to be a bit of confusion in understanding the Dynamics 365 offerings i.e. AX, NAV, GP (Great Plains) are sold as stand alone applications and Dynamics 365 financials for Business and Enterprise is a cloud offerings. This is our first Microsoft conference, and I was quite surprised to see that about 60% of the participants are from outside of U.S, from 140 different countries. Q: Who among keynotes speakers made the strongest impression on you? A: We haven’t got the chance to meet with any of the key influencers personally but there were quite a few strong speakers. 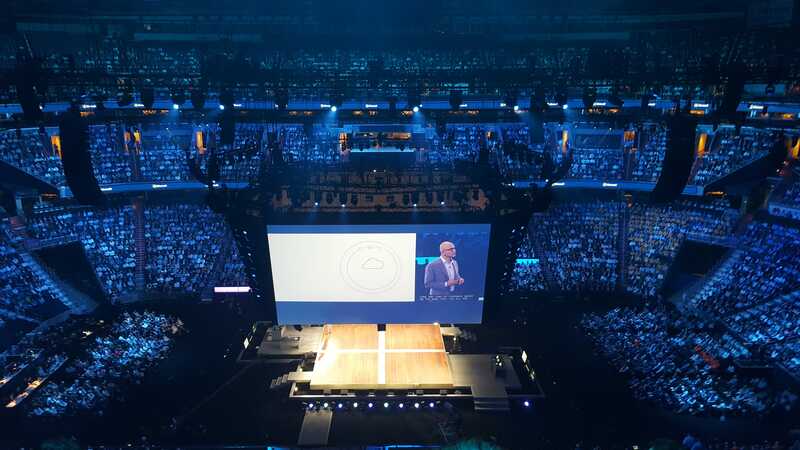 But the most powerful was the keynote presentation from Satya Nadella on how Microsoft is evolving from technology point, restructuring the partner channel, enabling digital transformation, paradigm shift towards Int elligent Cloud and Intelligent edge. Enabling Digital transformation which is core in our [DBSync] strategy. The Microsoft vision is very much aligned with ours. They are moving towards digital transformation by seamlessly connecting with broad spectrum of products and services that increase the efficiency and bring value to the customers. Our cloud integration platform and the very essence of its existence is to connect digital systems to help companies to get rid off manual work and human errors in order to streamline their business. Q: Have you met the new prospects or enhance your existing partner channel? A: Yes, we had met many of our existing partners from different countries like United Kingdom, Germany, Switzerland and United States. Revisited our strategies, discussed new business opportunities to help each other grow and serve extended customers as much as we can. Q: What do you do after the event to maximise its investment? A: Inspire served as a platform in meeting existing and new partners to help each other in anyway we can to strive for business prosperity and customer success (which is the very motto of the Inspire). Right now, we are communicating with partners, aligning our strategies, building new potential synergies to grow our customer base. Q: What are your focus areas and were they changes after the conference? A: Our focus area is digitally integrating systems primarily within Dynamics 365 for sales, field service into other application. We are in constant discussions with our marketing partners to focus on hybrid application integration initially for Dynamics 365 for Sales, CRM with NetSuite and QuickBooks. Dynamics 365 is expanding and there are lot of opportunities in backup recovery space. We are aggressively building our product line to diversify our solution offerings to cater to the customers who are in need to back up of Dynamics 365 data into Azure or Amazon S3. Q: Do you have any suggestions or mistakes to avoid when attending Inspire? Would definitely attend Inspire next year as it’s a great platform for building new and strengthening existing partnerships. Thanks to the event we have partnered with one of Microsoft largest Channel Partner in bundling Dynamics solution with our offerings which would be cost effective solution to the customers and help us to serve in the longer run.